Halloween is fast approaching and we've got inspiration galore in store for you today! Perhaps this is the year to make darling Halloween treats for the special kiddos in your life, or maybe even the grown-ups! Whether homemade goodies, candy treats or even sweet little cards to drop in the mail, we've got just the line-up of Halloween products to make your crafting a cinch! 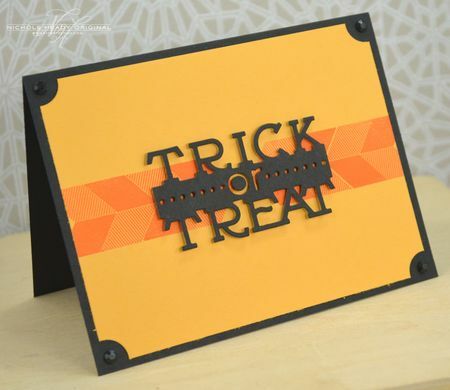 Trick or Treat is just the Halloween sentiment set you’ve been waiting for, designed by Dawn McVey! 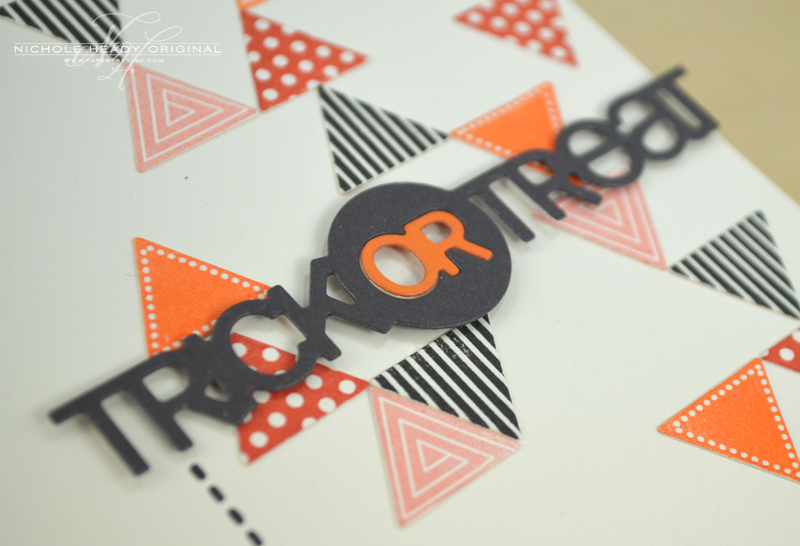 Filled with sweet and stylish sentiments perfect for adorable Halloween cards and treats, gift tags and more, Trick or Treat will have you creating darling Halloween projects in style. You’ll love the font combinations and the way these versatile sentiments can be paired with just about any Halloween image you’d like! Trick or Treat will be available for purchase on August 15th. Trick or Treat contains a total of 11 images. The “No Tricks” sentiment measures 1-1/2" x 1-1/8". 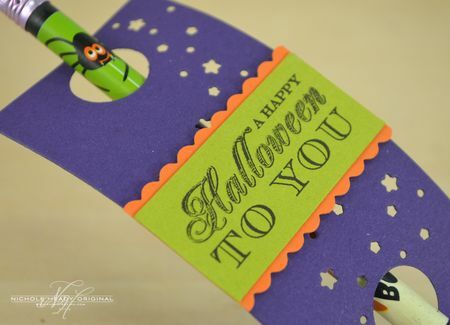 The “Happy Halloween” sentiment measures 1-9/16" x 3/4". The “Let’s face it…” sentiment measures 1-5/8" x 3/4". Melissa Bickford's Polka Dot Parade series is one of our most popular to date, and you certainly won't want to miss out on this month's new addition! Polka Dot Parade #7 is the seventh set in a monthly series of fun polka dot images, sentiments and coordinating dies. Each set features adorable designs and a fun font combination that you will love mixing and matching. The coordinating die will make stamping a breeze and give you a perfect image every time you use it. A super fun series that will be a welcome addition to any polka dot fanatics stamp collection! Polka Dot Parade #7 will be available for purchase on August 15th. Polka Dot Parade #7 contains a total of 12 images. The ghosts measure approximately 1-1/4” wide by 1-1/4” tall. The bows measure approximately 3/10” wide by 1/5” tall. ‘YOU HAVE BEEN’ measures approximately 1-3/10” wide by 3/20” tall. ‘BOO’ measures approximately 1-3/10” wide by 2/5” tall. A coordinating die will be available for sale separately, retailing for $3. This collection includes a total of 1 die (2 wired shapes). We're thrilled to bring you a fantastic new one-piece die designed by Lizzie Jones, that will create a tiny treat box container, perfect for Halloween goodies, Thanksgiving table favors and SO much more! 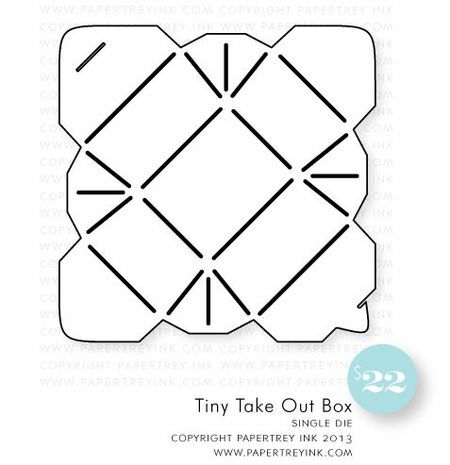 Tiny Take Out Box Die will be available for purchase on August 15th. It will retail for $22. Tiny Take Out Box Die measures 5-5/8" x 5-5/8". When it is assembled, it creates a box that measures 2-1/4" wide x 1-3/4" deep x 1-1/8" tall. 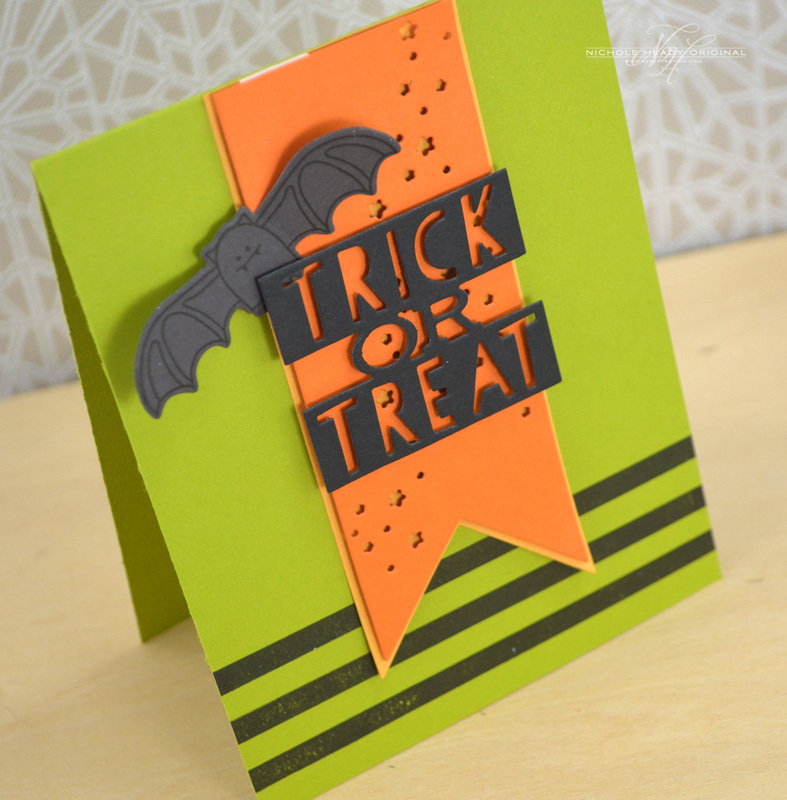 This new die set is perfect for creating quick and easy Halloween projects! They could easily be paired up with Tiny or Tremendous Treats: Halloween, the new Trick or Treat sentiment set or even the cute little ghostie from Polka Dot Parade #7, not to mention all of the other Halloween products we have released in the past as well! Tricky Trio die collection will be available for purchase on August 15th. It will retail for $9. 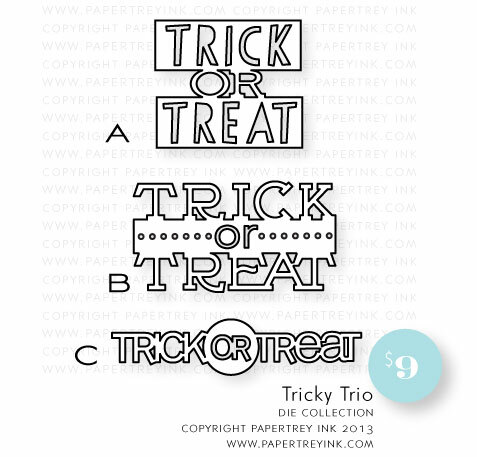 Tricky Trio die collection contains a total of 3 dies. They measure 2" x 1-3/4"(A), 2-7/8" x 1-1/2" (B), 3-1/2" x 3/4" (C). Designed to be layered on top of one another, this pair of darling new banners can be used for Halloween, birthdays and so much more! And it just so happens that these banners are the perfect width to be used with the sentiments from the new Trick or Treat set! Stamp the sentiment on a separate rectangle of card stock and pop it right on the banner! Notched Star Banner Dies will be available for purchase on August 15th. Notched Star Banner Dies contains a total of 2 dies. They measure 5" x 2" (A), 4-7/8" x 1-7/8" (B). By popular customer request, we're thrilled to be bringing you dies to coordinate with the previously released Tremendous Treats: Halloween stamp set! Boost your creative options by adding these fun dies to your stamping arsenal! Tremendous Treats: Halloween Dies will be available for purchase on August 15th. 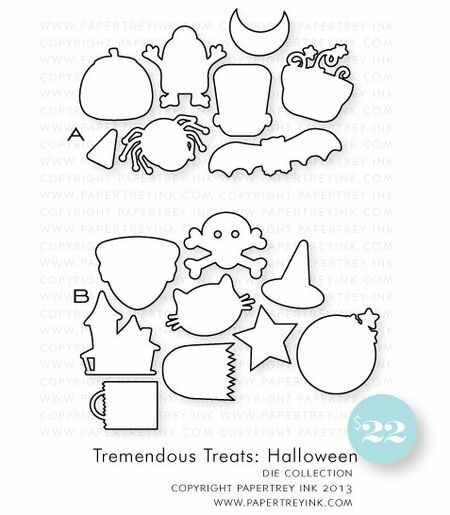 Tremendous Treats: Halloween Dies contains a total of 2 dies (8 wired shapes + 9 wired shapes). They measure 5-1/4" x 3-1/4" (A), 5-3/4" x 4-1/4" (B). For my first project I couldn't wait to try out a few of the new dies, especially the Tiny Take Out Box die and the Tricky Trio dies. I started with a Summer Sunrise card front which I stamped with Autumn Pattern Pieces (more about this later on in the week) in Orange Zest. The corners were clipped with a 5/8" circle punch and then mounted it to my True Black card base. Black rhinestones were added to each of the four corners. I cut this Tricky Trio die from True Black cardstock. LOVE all the detail in this, don't you? It was adhered in place with a bit of foam tape. I die-cut the base of the Tiny Take Out Box from Summer Sunrise cardstock. Before assembling it, I stamped it with the Autumn Pattern Pieces again and added one of the cute sentiments from the new Trick or Treat set. I added a handle with a 3/8" strip of True Black cardstock and accented with a few more rhinestones. 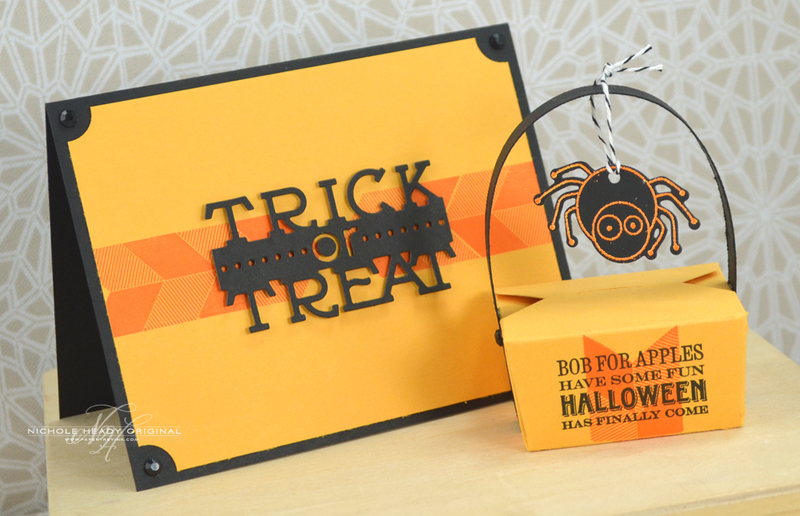 I die-cut the spider from True Black cardstock and heat embossed the Tremendous Treats: Halloween image with Apricot Zing Embossing Powder. I added a hole and threaded it with True Black Baker's Twine and hung it from the handle. This is SUCH a cute box! And SO easy to put together since it is all one piece! The interior measures 2-1/4" wide x 1-3/4" deep x 1-1/8" tall, so you can actually fit quite a bit in it too! You could also recreate the same ensemble in different colors for even more looks! For my next project I wanted to use another of the new Tricky Trio dies along with the Notched Star Banner dies! I die-cut the top banner from Orange Zest and the bottom plain layering banner from Summer Sunrise. Notice how these were designed so that you could layer them right on top of one another and have just a bit of an extended edge on the bottom layer to serve as a mat. I just adore the detail this banner adds! And the great thing is that the stars would work well for birthdays and Christmas too! The Tricky Trio die was cut from True Black cardstock and mounted on top of the banners. 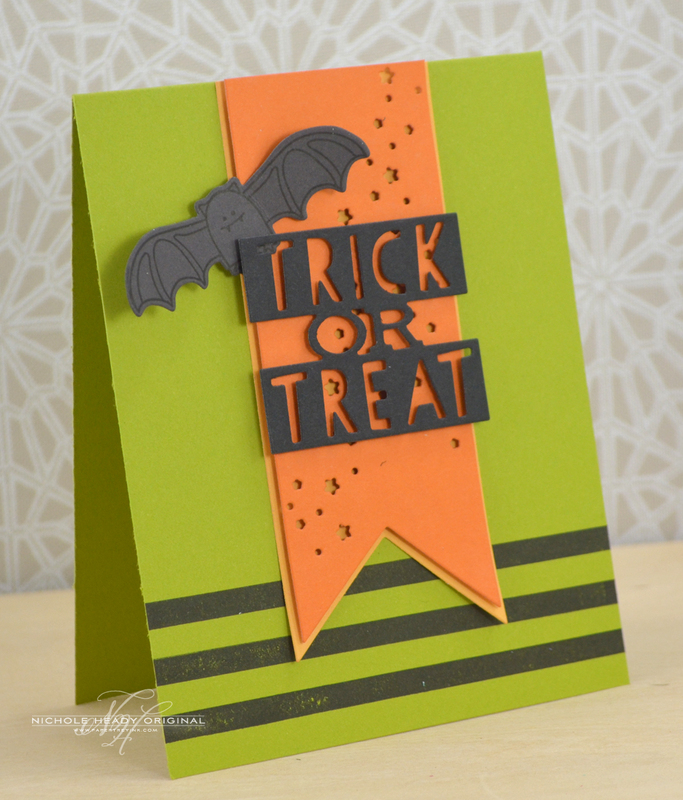 The Tremendous Treats: Halloween bat was die-cut from Smokey Shadow cardstock and stamped in True Black. I folded his wings up just a bit and adhered him under the corner of the Tricky Trio die-cut. I stamped the bottom edge of my Simply Chartreuse card front with Background Basics: Super Stripes using True Black ink. I really like how the stripes add balance to the whole project. My next project is another ensemble that uses an untraditional Halloween color scheme! For the card, I started with punching nine Classic Kraft 1-1/8" circles, edged with Fresh Snow ink, and nine 3/4" circles. The colored circles include Aqua Mist, Summer Sunrise, Ocean Tides, Simply Chartreuse and Melon Berry. I arranges the circles and adhered them in place. The little ghost from Polka Dot Parade #7 was die-cut from vellum cardstock and stamped with the coordinating image with Fresh Snow ink. I then flipped the ghost over and added his smily face with True Black ink. Notice the Tricky Trio die I used in my last project above? I wanted to show you here how you can pop the letters out and use them by themselves as well! I die-cut them from white cardstock and die-cut the "or" from another of the Tricky Trio dies. I used some white crochet thread to add borders above and below the sentiment. For the tag on the small treat box, I started by die-cutting Classic Kraft cardstock with Fillable Frames #7 die. 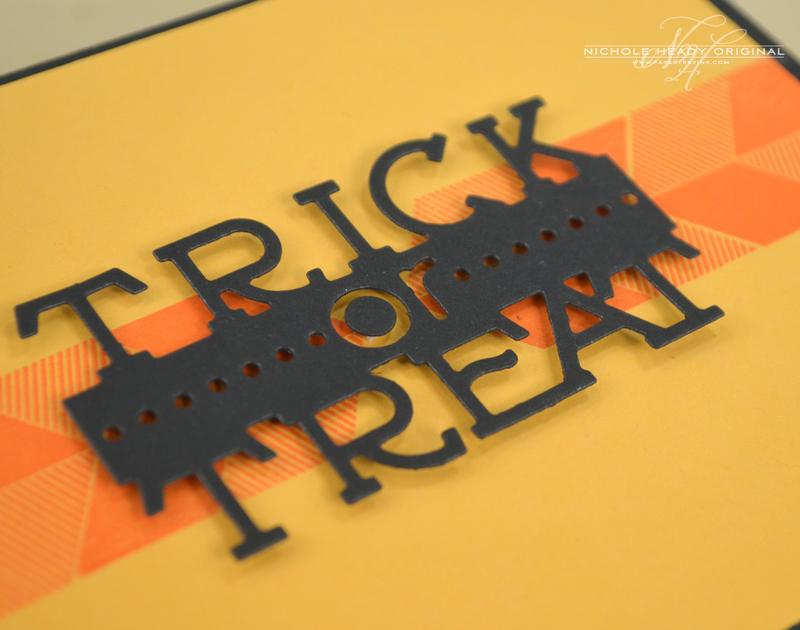 I heat embossed the sentiment from Trick or Treat with White Filigree Embossing Powder. I then brushed Fresh Snow ink around the edge of it. 1/4" circles in the same colors as the card were added along the bottom edge. For a little something different, I die-cut the new Tiny Take Out Box die from Clear Cardstock. I tacked the corners together with Score-tape and then helped give it a stronger hold with strips of washi tape on the corners. I tied the tag onto the treat box with white crochet thread. The little ghost from Polka Dot Parade #7 is just too cute and I had to make at least one more project using the little guy! I opted to mix in the new Bubble Talk set from Maile Belles (more about this set later on in the week). I started by stamping all of the ghosts and faces with True Black ink. I used a T1 Copic marker to add a bit aof shadow and definitions around the ghosts. The speech bubbles were all die-cut from white cardstock. 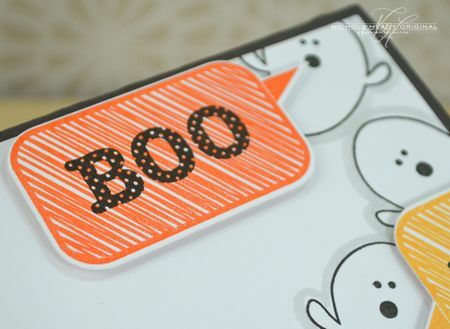 I stamped this one with the coordinating image in Orange Zest and added the "boo" sentiment from Polka Dot Parade #7. This one was stamped in Summer Sunrise and another sentiment from Polka Dot Parade #7. A simple card, but definitely not short on the cute factor! You could even swap out what they're saying fro even more options! I don't know about you, but I am always on the lookout for quick and easy little treats I can put together for classmates and friends. I discovered that by punching a couple circles in the new Notched Star Banner die-cut, it could be used as a pencil tag for pencils. To keep it festive, I used traditional Halloween colors, Royal Velvet, Simply Chartreuse and Orange Zest. 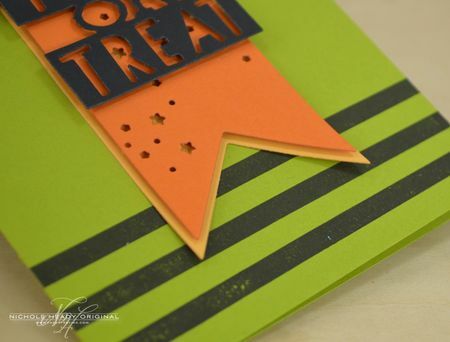 The sentiment (from Trick or Treat) was added in True Black onto a strip of Simply Chartreuse cardstock and trimmed with a bit of orange Zest cardstock. Quick, easy and very inexpensive! I was inspired to pull out my Cover Plate: Triangles die and mix it in with one of the Tricky Trio dies. I die-cut the triangles from Vintage Cream cardstock and stamped them with various patterns found in Tiny Triangles. I used another untraditional scheme of Terracotta Tile, Melon Berry, True Black and Orange Zest. I arranged the triangles randomly and adhered them in place. I die-cut the Tricky Trio die from Smokey Shadow cardstock and a second time from Orange Zest. I popped out just the "or" from the Orange Zest version and adhered it within the Smokey Shadow version for extra pop. As a finishing touch, I added a line of stitching with the Sew Simple Borders set and True Black ink. The spider was added as well, from Mr. Bones. Love the modern look of this and how fun it was to create! I have one last quick and easy treat packaging idea for you today. I used an A1 envelope to hold some Reeses Pieces candy, adding the vellum window to the front to give the recipient a peek at what's inside. I die-cut the Fabulous Frames from Canyon Clay and stamped it with Polka Dot Basics in the same color ink. Vellum was added to the back of the die-cut to cover the square that was cut from the envelope. I also stamped the house image onto the vellum so the moon and stars would be visible. I die-cut the house from white cardstock and stamped it with the coordinating image from Tremendous Treats: Halloween in True Black. The sentiment (from Trick or Treat) was added under the house in True Black as well. I hope you have enjoyed all the creations that I have shared with you today! And I hope that we've inspired you to get crafty for Halloween, using some of these fabulous new Halloween products! We would love to hear your initial thoughts on everything we introduced! Please leave a comment on this post to tell us what you think of the new products and you will be eligible to win big! You have until 7am EST, August 11th to leave your comment and be eligible to win. Only one comment per person please. One randomly selected winner will be announced on our August Release Winners Page before noon EST the same day. Thank you for stopping by today and best of luck with the contest! 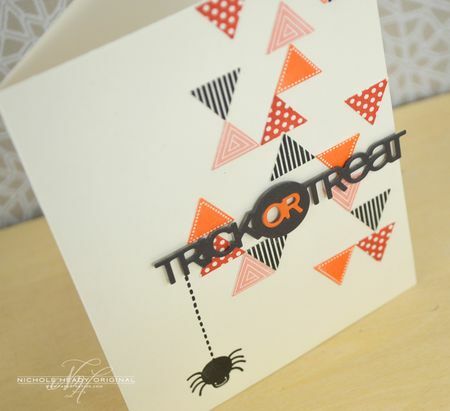 Betsy Veldman will be showcasing Trick or Treat, Polka Dot Parade #7 and Tiny Take Out Box Die. Cristina Kowalczyk will be featuring the Tricky Trio die collection. CLICK HERE to see more from Dawn McVey. FINISHED SIZE: 5" x 2"
FINISHED SIZE: 5" x 3-5/8"
Love all the halloween releases. I am always in need of new halloween inspiration. Everything is so very fun and cute! The colors are so bold and fresh! I think the Tricky Trio is my favorite – I love the wonderful graphic sentiments! Thanks so much for sharing! I’m in a Halloween state of mind now! Such a great inspiration photo of the front door! Love those layered star banners. So many possibilities! Halloween is my favorite to craft for–no pressure just fun! I adore these products! Wow! So many new dies, what a surprise! I love the new little box! Great projects! Oh Gosh, love all the new stamps and dies. Well done. The notched star banners are for me. Love them!!! 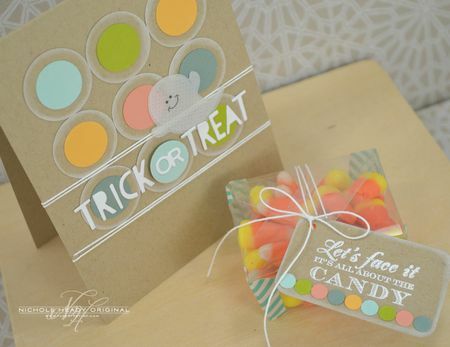 I love the treat box die, its so versatile, another thing to add to my wish list. I love the treat boxes and the polka dot ghosts, but most of all, I love Dawn’s new Mum flowers–and her purple card is so gorgeous. Oh wow! Super fun products and projects!! The treat box is so cute! I love the Trick or Treat trio dies. Great projects, now I’m getting excited about Fall, my favorite season! I love the Halloween dies you are showing. Can’t wait until the release! Those trick or treat die cuts are wonderful! Melissa’s new little ghost is adorable. Now, I’m even more excited for Fall than usual. The projects from the team were beautiful today and I loved getting little sneaks of other things coming! This month is so exciting!!!! I love all the new Halloween fun!! Great inspiration!! Lots of fun and I love the new dies! Beautiful projects ….everyone! 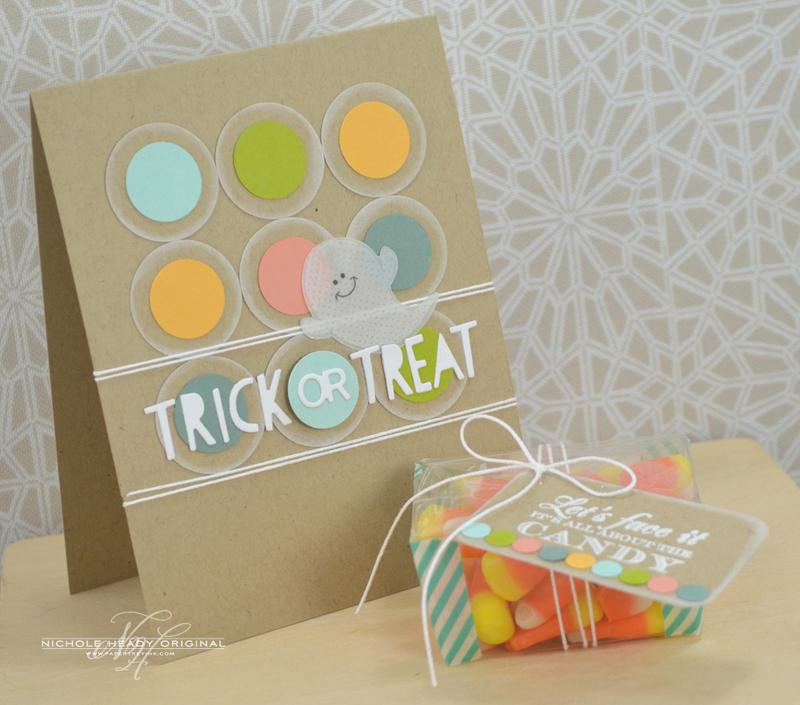 I am super – excited about the treat box die! It will be just perfect for table settings for any occasion, but especially Christmas time at our house. 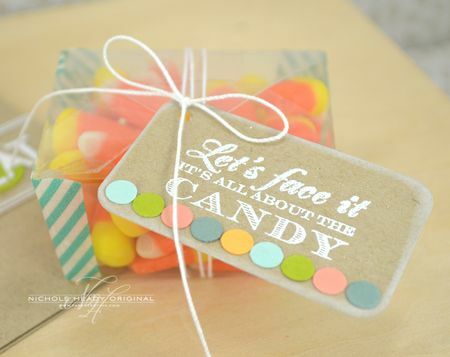 I like the trick or treat dies and the sentiments from Dawn, these are so cute! Oh i will love to have the dies for tremendous treats!!! I love that set!! Great projects by all! Really lovin’ the tricky trio and notched stars banner dies! Love,love,love the new stamps and dies! The little ghost is soooooo cute. Looking forward to the full reveal. Amazing projects! ugg…Halloween is always my downfall! Such cute, cute projects, but I love the ghost. What an awesome array of products. I just love everything. So excited about all the new Halloween inspiration. 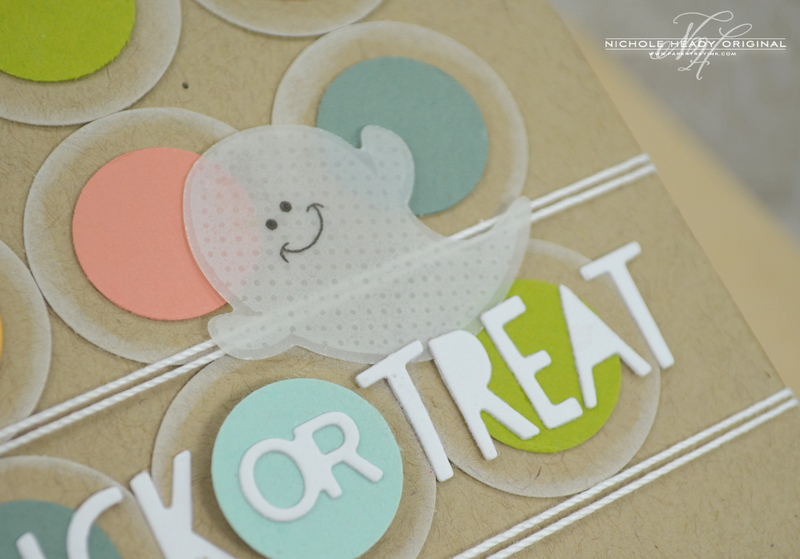 Love the little ghost and can’t wait to use the tremendous treat dies! Those cards are SO cute! I’m loving all the new halloween stamps and dies especially the tremendous treat dies!! Super cute projects today. Love Dawn’s new set and that awesome take out box die. Well, just when I thought I didn’t need anymore Halloween products, you come out with all of this stinkin’ cute stuff!!! I’m really not a Halloween person but this is hard to resist! So cute! Love the treat boxes and banners. Wow Love everything! That little ghost is so adorable. Kind of makes me excited about FALL. Can’t wait to start some Halloween crafting with all these fun goodies! Oh my goodness, I am so excited about so many things already and it’s only day #1! Can’t wait for the Tremendous Treats dies and the Notched Star dies! LOVE!! Holy cow! I don’t know what to add to my list first – the awesome banner dies or the cute ghost or the tricky trio dies. Lots of exciting stuff! Looks like some awesome products already. Lots of great things to make Halloween treats, so exciting! Halloween is one of my favorite holidays. What wonderful cards today, I love everything. Wow doesn’t begin to cover the excitement I feel about all the new Halloween products and ideas! Just amazing!! Nichole, your projects always inspire me. The Halloween sentiment set is 1st on my list then the trio dies. I hate that I LOVE everything you’ve shared!!!! Not near enough money for this release!!! I adore Halloween stamps and these are great additions! I love the new dies too. Your projects are super cute! What a great variety of dies and stamps this month. I’m really liking the starred banner – that was a fun surprise!! Oh my gosh…I love the new treat box. I especially like using the clear card stock to make it. Even though it is August 10th, I am now ready for Halloween and fall. What great ideas and products. I always love your Halloween release!! Such fun and creative new products – that will go nicely with my hoard of other PTI Halloween goodies!! Love, love, love……everything! I think I will be making the pencil holders but substituting with pixie sticks instead. So fun! Great samples!!! The Take Out Box and Notched Banner has lots of creative possibilities. So lovely ! Love all your cards, totally love the new favor die. 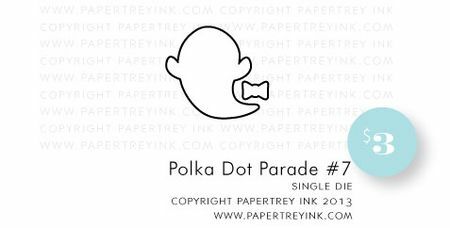 That Polka Dot Parade ghost is so cute! I’m looking forward to seeing what everyone on the DT does with the Notched Star Banner dies. Oh.My.Goodness. These are all adorable! Love, Love, Love the Halloween stuff and your projects are over the top as always. Loved Lizzie Jones’ project too. The small take-out box is perfect!!! I don’t usually make halloween treats now that my kids are older but these products are making me want to again! Adorable projects today!!! Love the variety of halloween goodies! I love all the new stamps and dies! Fabulous! I love these halloween dies!!! Halloween is my favorite time of year! Very fun Halloween products. The ghost is very cute. The new star products and apple stamp set have caught my eye! I really like the banner. And the treat bag can be used for so many occasions. The envelope with the window is a great idea! The Notched Banners look like a neat tool to have. Also excited with Dawn’s Mums! Love everything I see today. 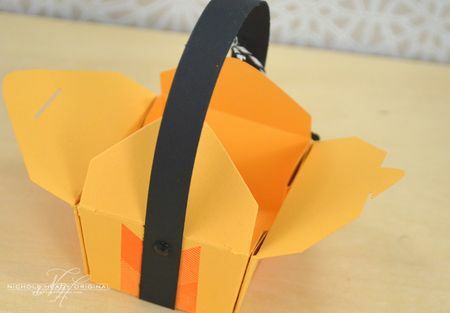 The tiny take out box is super cute, great for kids’ birthday party. It’s treat day at PTI!! I love Halloween and everything you showed today was a TREAT! Love how all the projects are fun and cute, just the things that make Halloween so much fun. The tiny take out box is adorable in all the styles shown today, can’t wait to see more ideas. Great day 1 ! I cannot wait to see what else you have in store for us this month. Oh my gosh!! I’m not sure Halloween can get any cuter than this!! A pastel Halloween? So so cute!!! And that star banner! Oh, you rock, Nichole! The Halloween samples are all so very cute! Thanks for the chance to win a great gift certificate. so many great products and so much halloween inspiration. thanks. Fall is my favorite time of the year! So all these Halloween crafts are right up my alley! Can’t wait to get them into my craft room! All of these projects are so cute and fun! Love the new dies, but the Notched Star Banner Die is my fave! Perfect for birthdays, Christmas, etc! I want one of everything! I love today’s post! Great ideas and can’t wait to get my hands on the new releases. Loving the Notched Star Banner dies! Beautiful! In love with the notched banner dies!!! I’m loving the trio sentiment dies! Hope to see more of them in future releases. Today’s favorite is the starry banner though. I love the star banners and the treat box and the stamps and the ghosts! What a great release and it’s only day one! I love love love Halloween! what a great release!!! Wow! I love all the Halloween things! I think my favorites are the Tricky Trio dies and the Tiny Take-out box. Everything is so cute today! Oh my gosh, I love Halloween anything so this is a great month! Autumn is my favorite season and today’s cards and boxes are all treat! I love every single project! I hate to see summer end but I can’t wait to use all of these products for Halloween! I love the star banner. So cute. Treat boxes are always my downfall – love this one. Your projects this month are simply over the top. Each and every one. Especially love the untraditional colours and tiny triangles projects. Awesome! Yay! Halloween is coming!! I love these new tag dies and tiny take out box. I fall more and more in love with your dies with each use. I get so excited to did to my stash. Those things are priceless! Gosh, I am seeing so many products I like. Great release just in time for SAF. Oh the dies. Love it all. Love everything, but especially the ghost! Looks like another fabulous release! ADORABLE! I love that banner die set and the pencil idea is wonderful! I love stuff like that for the classes at school! Halloween is my favourite holiday to celebrate! I love everything about it – the colours, the time of year, the jack’o’lanterns, bats !!! The new release looks awesome! I was hoping for the dies for the TT: Halloween, but the new banners are fantastic! Bring on the release! You gals have done it again, love the new products~! Looks like a lot of Halloween fun here! I’m loving all the new products shown today, but the DT projects are all fabulous. Beautiful work! What a great kick off to the weekend. I even showed my son how cute everything was, it was too great not to share. Such fun stuff. Great techniques, too. I hadn’t considered that I would want to buy any of he Halloween items this release, since my kids are so little. Oh my goodness! I’m in love with everything! Your projects are so great! Now I just have to narrow it down since I just agreed to a new budget last night. LOL! Such fun projects. Creativity abounds as usual – blown away! What fun projects. I love the banner with stars! Today was no trick…so many great cards Nichole, loved the great inspiration. I especially liked the trick or treat trio dies. Great idea!. Fall and Halloween are my favorites.. Love, love, love the dies! I cant wait to get my hands on them! Love the take out box too! Lots of great stuff today. It’s hard to pick a favorite, but that little ghost is so cute. So many fun projects! I love the notched banner! Wow, such new and innovative ideas…all for Halloween! Love the new boxes for packaging! And that little ghost is just darling. Halloween is my favorite holiday to make goodie bags for, and I can’t wait for some of these new sets to make them with!! I love it all, especially the little ghost, the speech bubbles, and the notched star banner. Halloween is one of my favorite times of the year to get crafty! I also really like all the Halloween cards that were made using non-traditional Halloween colors! Everyone on the design team has been so busy. Love all the new dies! Can’t wait to make my own coffee cozy. Fantastic first day samples! The little ghost is absolute adorable but then to add the tiny, weeny bow tie – well that just put it over the top 🙂 Love the notched banner with star die cuts – a definite must-have!!! I just love the polka dot ghost! He is so cute! I think the treat box would be great for birthday party and wedding guest favors too! Lots of great eye candy this morning! I love everything I’ve seen, and this is just the beginning of the reveal! The ghost is my favourite, along with the speech bubbles! 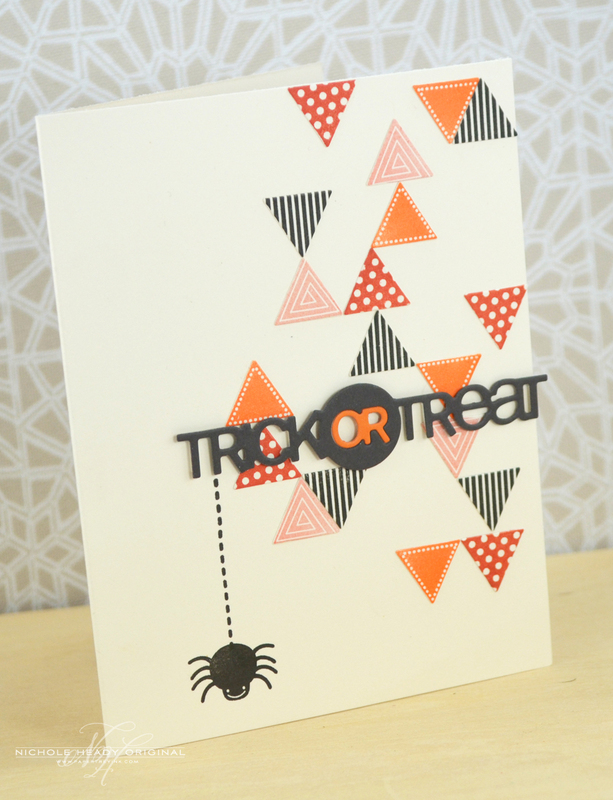 Love this Halloween set…the die cuts look to DIE FOR! So cute! Can’t wait to see the rest! Love the little ghost! And bubble talk looks awesome too! OMG!!! Halloween is absolutely my favorite! I love everything so far. Can’t wait to get it all in my hot little hands!!!!! Lots of new items to take in, can’t wait for fall now!! Let the crafting begin! Great products for doing just that!! Oh my gosh, awesome samples! I just found a favor for my daughter’s birthday party, the Halloween pencil treat! Thanks! The tiny takeout box is adorable. I think the August release is always my favorite because of all of the fall projects. So cute! TOTALLY EXCITED about all the Halloween goodness! Yeah! Can’t wait to put my order in. Great new products and the inspiration projects are wonderful! I will want one of everything!! How adorable are these images and products!!! Absolutely love all the Halloween goodies! Thanks for sharing! Love anything Halloween! A sure sign Fall is on the way. Yay! 🙂 Thanks for the chance to win. Lots of wonderful goodies today! It’s always the items that aren’t peeked…the little surprises…that sneak into my cart like little ninjas! Love all the dies introduced today along with the two Halloween sets! So many super cute things so far, and this is only the first day! I’ve fallen in love with that little ghost! Love the new sentiments, dies and cute box! My list is already growing! I like the Reese candy packed card! Great project for kids. Such a wonderful array of Halloween cuteness. I just love the new treat box and trick or treat dies. Great ideas as usual ladies! Love, love ,love!!! The treat box die…the tremendous treat dies. I can’t wait! So many wonderful dies! Love the banner dies and the box die especially. Love all the projects you and the DT did – super fun! That take out box is adorable! I am so excited about the dies being released, love it all! As usual your creations are so inspiring, thank you! 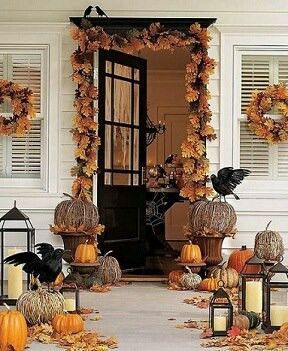 First, I want my house to look like that for fall! Its gorgeous! I’m a bit of a Holloween addict, so love everything! Especially loving the take out box die I make earrings to sell and this box would be perfect for packaging. The halloween dies and stamps are too cute!!! Love all the Halloween goodies, especially the Trick or Treat dies. Great projects today! I just love that star banner die! Oh picks me to win these awesome new releases! I tell you true, you all just put me in the mood for Halloween! I love every bit of this and as usual the projects are fabulous! Loving all of it! Such fun tiny take out box and sweet ghost! The notched star banners will also be nice for Christmas, graduation, and baby cards. What fun Halloween products. Enjoyed seeing all the cute projects by all. Loving all the new product. So glad that a lot of your stamps have dies to match. Cant wait to see the rest of the new products. What a great way to start the week..love everything. Starting a list already! LOVE that notched star banner die!!! WOW LOVE your cards Nichole so cute and so much inspiration! I love making Halloween treats for friends and family. These new products are so cute I can’t wait to get them to begin. I love halloween and everything you showed today is just so cute!! I need it all!! I LOVE this Halloween release!! The die and stamp sets are AMAZING!!! The projects are great, too! Can’t wait to see more…. So many new surprises! Am especially happy about the trememdous treats die! Everything is so super cute! All so adorable and, dare I say it, sweet. My wallet is in BIG trouble; I want it all!!!! Everything is absolutely amazing and it’s only day one of the creations. I really love the notched star banner and I’m super excited to see more of the Bubble Talk set. Great cards today! So excited to see speech bubbles. Been trying to find a good set, so glad I waited. The Halloween cards are adorable. Kind of sad that my kids have outgrown Halloween. Aw!!! Such cute Halloween goodies this time around!! I can’t wait to play! Love the new dies! The little ghost has won my heart…. I just love all your dies — the star banner die is perfect for so many things and I love the tricky trio. That little ghost is so darling! You’re off to another great start! Halloween is my favorite holiday! And it looks like this release is really going to hurt my checkbook… and it’s only day 1! Oh my gosh! Love these new PTI goodies! Especially the Treat Box, Layered Banner Dies and Mum dies and stamps! Definitely another great release! Love the new treat box! I’ve got lots of ideas for it, from now til Christmas! The sets are just adorable! Love the notched banners and that adorable polka dot ghost. Can’t wait for the rest of the reveal. I am officially excited for Fall now! Awesome new products. I really love the Notched Star Banner dies! Ooooooh I’m so excited for new fall goodies! My favorite time to craft! I love the treat box too! Excellent release ladies! I love Halloween, it is such a happy time when the children get to dress up! I love all the dies. I have the tremendous treats and now I must have the dies that go with them. Thanks. All the halloween projects are so cute. I love the take out box. I found exactly what I needed…for my Christmas cards! The notched star banner die is the bees knees. Can’t wait to start using it! Alll your projects today are so “spooky”. I don’t make Halloween cards for anyone, but they sure look fun. Darling projects. By changing the color and sentiment these layouts would be perfect for so many occasions. This post is amazing! It makes we want to send out Halloween cards instead of Christmas cards! You are so inspiring, thank you for sharing your talent and the talent of your team with us! Love all of your creations today! I am super excited about the Tricky Trio dies. I can’t wait to create cards, layouts and project life layouts with the dies. Love all the new stuff! Halloween is one of my favorite holidays. I usually start decorating the house toward the end of September. Love the peeks. Halloween is my favorite time for crafting. I was using my Mr. Bones sets earlier this morning. The Halloween release is always my favorite! I love all the fun creative ideas the design team come up with. Every single one is cute as can be! Wow! Those Halloween dies are fantastic! Gotta get ’em all! Love everything today but especially the treat box! Way to go! ADORABLE! Another amazing start to the countdown! How do you do it every month??? Wow, what a great release!! I am loving so many things!! Thank you for the inspiration!! I just love everything, but the ghost is my favorite! Thanks so much for sharing all of your amazing projects with us! Cute projects! Love the notched star banner, too! Can’t believe we have to start thinking (preparing) for Halloween again soon! Great projects Nichole! You out-do yourself every single year! The tricky trio is a pretty unique product–love them for focal points on cards and projects. And the tremendous treat dies are a must have, for sure 🙂 Thanks for all the inspiration! Yes you nailed it again these are all so marvellous I wanna have them all. Please stop showing more I get very gready. Thank you again for all the inspiration. I adore that little ghost! 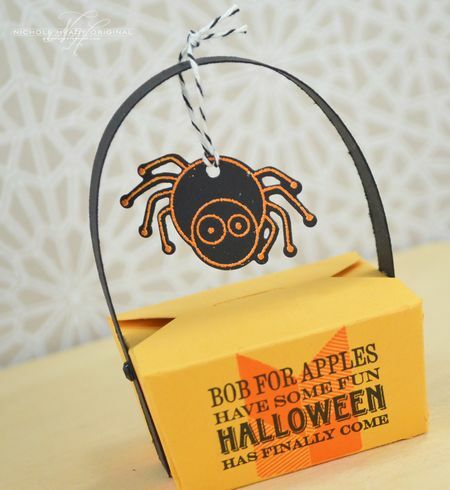 Great new Halloween products…such fun projects too! The Halloween dies look like so much fun! What fun Halloween dies and ideas! Great projects! Love the Halloween card with triangles and the little treat boxes, especially the clear box. So cute. I love Halloween and you’ve got some great new dies and stamps that I just have to have! Love the cute little boxes. So many neat new dies. I love the banners! I really love that notched banner star die. So cute! WOW! What a way to start things off. Love all the card and project samples. The little ghost from Polka Dot parade is just too cute. Also love seeing the dies for Tremendous Treats: Halloween. See lots of possibilities for the Notched Star Banner die too. Well…you’ve got me excited to see what else is in store for the next 4 days. Love everything ! Can’t wait to see the rest. Trick or Treat! These are all wonderful treats! You ladies are amazing! Love it all! The treat box and notched star banners and the trick or treat dies and everything—great! I especially love the treat container made with an envelope! Genius! Such fun dies and stamps!!! Looove them!!! Love the new treat box. And the little ghost is so cute!!! Wow, Halloween already! So many cute products to choose from. Love the little ghostie and the take out box. Super cute projects!!! The little ghost is my favorite!!! Oh boy. I’m taken with all the options for the notched star banner dies. Love Dawn’s Mums and Heather’s thank you. Looking forward to the rest of the release. Such a great start to this months release! That little ghost is just so adorable! Love the tiny tart box. I just Love Halloween and These new releases are to “die” for! So fun to see products for Halloween. 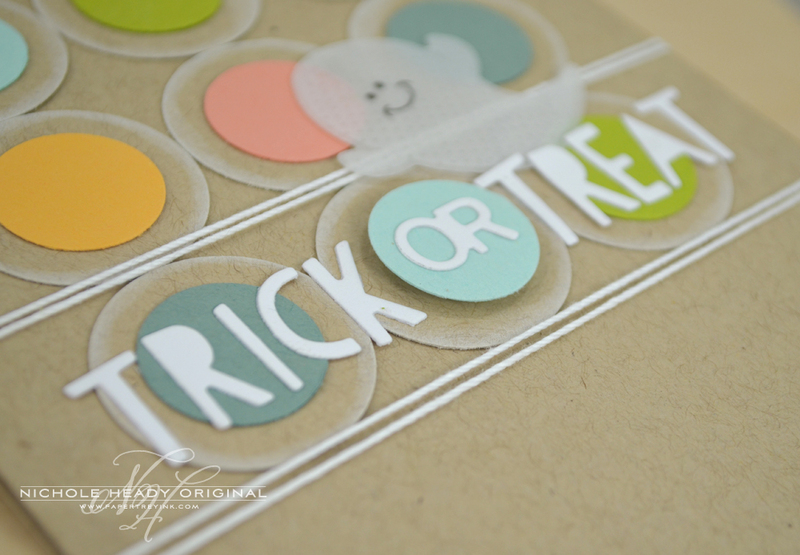 I really like the notched banner dies and also the “trick or treat” die. Cute Halloween fun! Love the candy expression. Everything is amazing. I can’t wait to see more. Love all the the new dies! Adds so much fun to cards and treat boxes! Another home run. Love those banner dies, can’t wait to see more! Oh my… I absolutely love LOVE HALLOWEEN(next to Christmas that is) and all of these are absolutely PERFECT!!!! with a window idea….You and your team are very creative and inspiring. Where is the “Day One: I Want It ALL” button????? There were so many fun surprises today…. Amazing products!! Love that little ghost and the Notched Star Banners are fantastic!! Another great start…I really LOVE the layered star banners! I love waking up to these peeks, ideas and products. I LOVE everything. I usually don’t purchase Halloween products, but you have changed my mind. I would love to make gift’s for my son’s class. Thanks for all the DT inspiration, the projects are just too cute for words. OOOH!!! I am in trouble. I just love everything. Great new dies and stamps and the projects are so cute. I thought I was save with the Halloween stuff but I love it!!!!!!!! Such cute gift ideas! Way to go! I love when the halloween stamps and dies come out! I get so excited! I love the fall. That ghost stamp will be in my cart for sure, it’s so adorable! Adorable stamps and dies! I love the mini take out box. Halloween is my ultimate FAVE. Great new products. 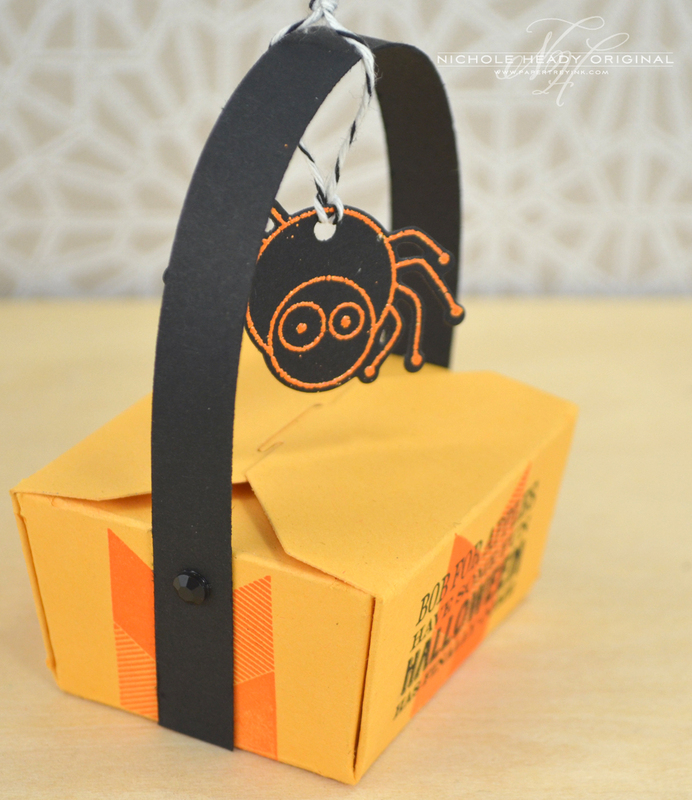 I so love the box die with the spider hanging from it. So cute! The ghost is adorable. I love them all. Very nicely done! Halloween is our favorite holiday in my family, so I’m very excited about all of today’s featured products. I really love the sentiment set and the star banner die. Love the halloweeen designs. Sooo cute. OMG!!!! Great projects today. Love all the new stamps and dies. Can’t wait to see more. I love the tiny take-out box! will be able to use that for so many things! Oh my gosh – SO many awesome things jammed packed into this sneak! I adore that tiny take-out treat box, the vellum ghosts and that ‘Boo!’ card and that star-notched banner – such a cool gift idea! I love it all! OMG! It’s all so darling and perfect for Halloween! I think I have to have it all! Such a fun assortment of Halloween projects! 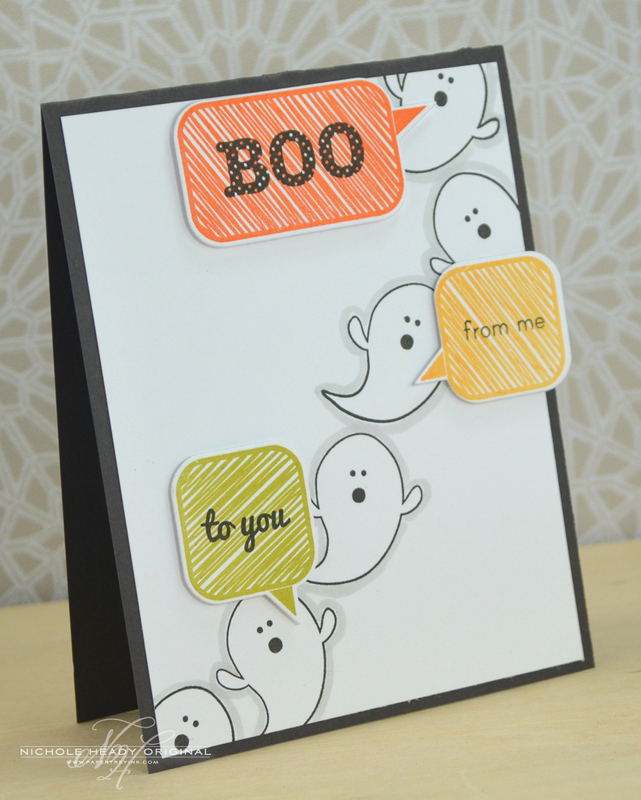 Super adorable ghost and great new dies! Fantastic examples as well! Love the new Halloween dies! I love that take outbox!!!!!! Such a fabulous release! 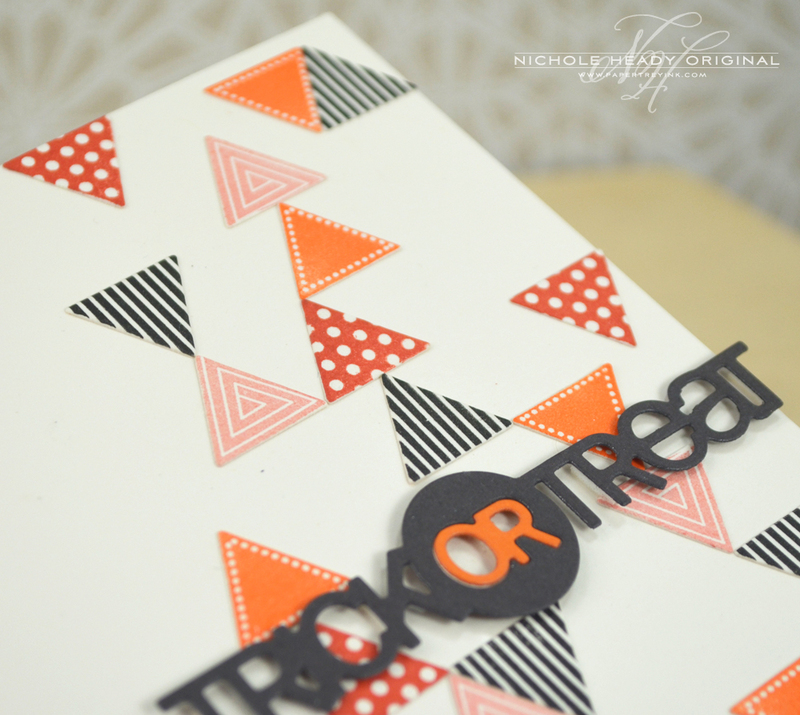 Love the notched banner…..
I’m so excited to see the rest of this month’s release!! Lovin it so far!! Halloween is my favorite holiday to craft for….tall of these new items will need to be added to my arsenal!!!!! Love all of the projects….as usual your work just amazes me!!! Amazing fall ideas! I can’t wait to begin to try out some of these new items. Fabulous. I love products of this month. I just LOVE those banner dies! I cannot wait to order them! 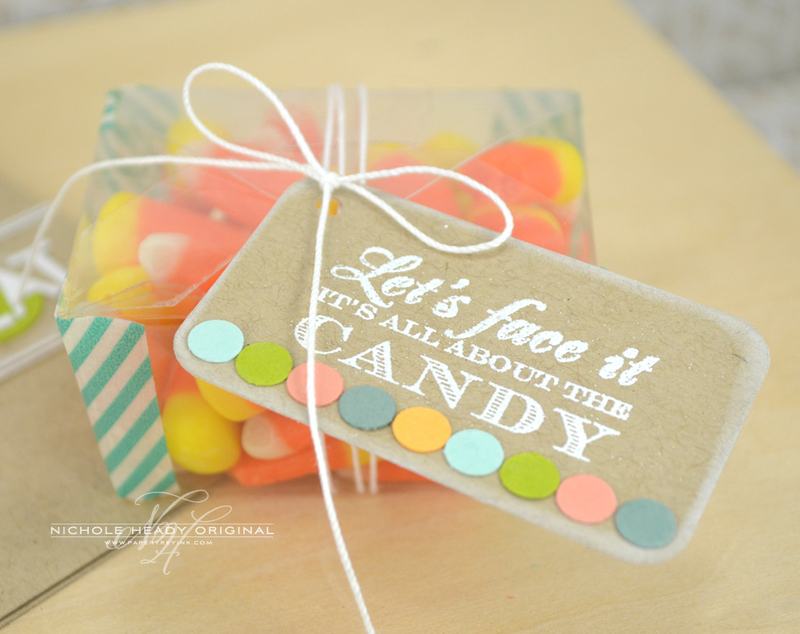 Love the little box die and the double banners–sooooo many yummy possibilities! Love the new treat box! Great projects! Love the take out box and the banner dies! ack…..I am in SO much trouble this month!! Absolutely LOVE everything I have seen so far and this is only day one! I am REALLY needing to win the final prize! I have a HUGE order on it’s way to me, my cart is loaded and now……boy!! Enjoyed every single project today….great job by you and the DT. Thanks to PTI for this wonderful opportunity! This is the only place that I don’t mind, and actually love seeing Halloween stuff. Everything looks pretty and cute! I love the star banner die and the mini take out box. Super adorable! I was born on Halloween so I love all things Halloween 🙂 And these new products are adorable! love the banners and that little ghost is just about the cutest thing I have ever seen! Yay for more Polka Dot Parade! Love the look of the Bubble Talk – can’t wait to see the official sneak of this set. I love dies so I think it’s a great idea to have them match some of the older sets. Wow! Really cool projects today! Love the little ghost in Polka Dot Parade, Tricky Trio Dies, Lizzie’s takeout box, & I’m the most excited about Dawn’s Mum set!!!! ooooooh! The dies! the little ghostie, the notched star banner, the swords – so cant wait to get these. Want to ALL already! LOVE the new dies and the little ghost. Loved all the Halloween ideas, the cards were great. I am so excited for the fall season to get here. I love all the projects and products used today, so inspiring! 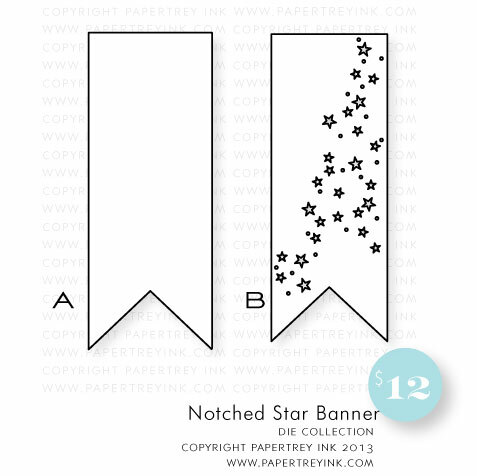 Polka Dot Parade and the Notched Star Banner dies are my favorite new products today! I’m not a Halloween fan but the designs are cute. So much wonderful inspiration! Love it all! I wasn’t sure what to expect today, but you totally blew me away with the new products and the amazing projects you made. Yes, I want them all! What a fun release! I’m loving that little box and the star banner is fantastic! Really love the tricky trio die! what a good deal of money for such a delicate set! 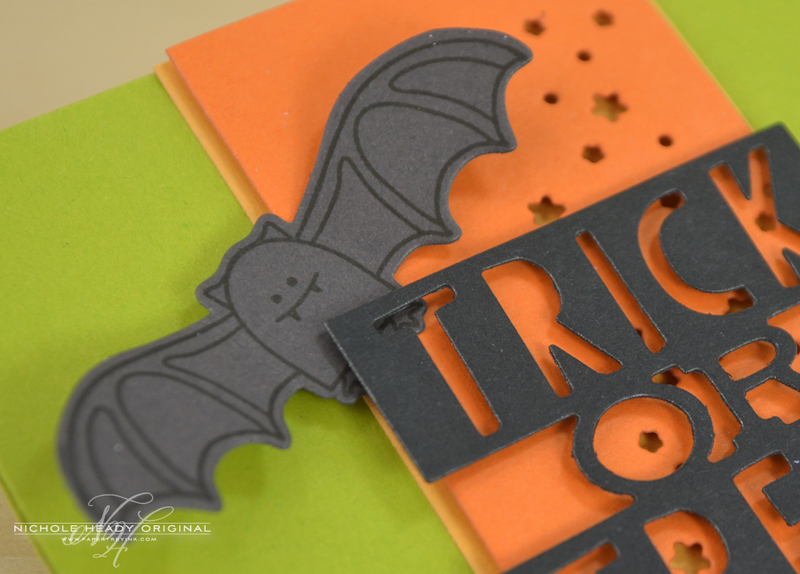 Another great display of stamps and dies…can’t wait for Halloween! That little ghost is so cute! Love the tiny take out box too. I love ALL the Halloween stamps and dies today. The projects are amazing!!! Lots of great inspiration, ladies!! Way to showcase the new goodies! HOW stinking cute is that tiny treat box??? I really like the notched star banner. All of the creations highlighting the release are adorable and show the versatility of the products. So many things to choose from. I am loving the star banner set. very useful! I just love how you are always adding new things that go with older stamp sets!!!! Plus, I am one who finds Halloween very hard to resist!!!! Fabulous projects too…off to see what the team did! So adorable and inspiring. Looking forward to future projects. So many crafts, too little time! So much cuteness here! I don’t think we’ll ever be all “died out” either! WOW ladies, what FUN Halloween, back to school & fall projects. TFS!!! Seriously?! How do you all keep coming up with these ideas? These are so stinkin’ cute! I want it all! Love all the Halloween products, but the star banners are my favorite of the bunch! I usually hang on to summer until the bitter end, but with all of this amazing fall stuff I’m ready to bring out the pumpkins! So excited for Tremendous Treats dies, and everything today looks amazing! Especially Erin’s coffee cozy!!! Wow! Everything is absolutely awesome! I love it all! Great job! I love the trick or treat dies they are so cool, a great start to what I’m sure will be another great release! OH MY! so cute… I love Halloween. Only thing that makes me feel better that summer is gone. These projects make me giddy! I love all of these modern and unique Halloween cards! Nontraditional but in an awesome way! The star banner is adorable! What a great collection of Halloween stamps and dies! I love that little takeout box too! Can’t wait to make little takeout Halloween favors for this year’s parties! This month is so exciting!!!! I love all the new Halloween fun!! I love your new products and all of the inspiration you have been sharing. I know I will be shopping after the 15th… I would love a chance at your prize. I started a list. (As always!) and I love the mini takeout box because its more rectangular- reminds me of Whole Foods food take out boxes. 🙂 I absolutely love it die cut with clear card stock and could see it in vellum too! I can’t wait to see more of Bubble Talk! I have been loving all the scribble fonts and the scribbled speech bubbles are even cuter! Fingers crossed for matching dies! Can’t choose from all these goodies, may have to have them all! Great team creations, again, love all the Halloween! I am in love with all of the Halloween goodies, and the lil’ ghost is coming home with me. Today’s creations make me wish we had young children around again to make such lovely treats! That little ghost is so stinkin’ cute. Wonderful projects! Love the speech bubbles!!! What wonderful inspiration! You have me wishing for frost, falling leaves and spooky Halloween costumes! Loving the vellum ghost, everything is so cute and fun. Does this put everyone in the Halloween mood?? That little polka dot ghostie is so cute. Even my non-Halloweeny DIL loves it. Hooray for the Trick or Treat sentiments, Starburst Notched Banner die and Tremendous Treats coordinate dies. Wonderful Halloween inspiration. Love the new Halloween collection. Nice to see some non-scary items. Love the die cuts. Thanks for a chance to win. i love everything!!!! what a great job all you ladies have done. So creative!!! Such cute image and dies. Love the little treat bag! Fabulous samples Nichole. As always…. your dies are “to die for”!!! Halloween is always one of my favorite holidays. 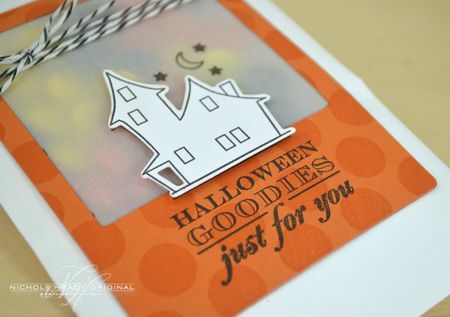 Love all the new Halloween stamp sets and dies! Adorable treat box die! Great projects! Can’t wait to see more! Love the fall goodies! That cute ghost is my surprise favorite ….so cute! I just love the banner die! What a yummy post! What an excellent bunch of halloween goodness!!! So cute. I love the word dies. So many ways to say Happy Halloween! WOW! Great Halloween projects. Can’t wait until they are available. Love the Tiny Take Out Box! The ghosts and take out box are so cute! I love the new banner die. I seem to use banners on everything so it will be perfect. Everything looks wonderful! Can’t wait to see the rest of the release. Wow! What great, fun Halloween items and projects! I can tell that I am going to have lots of new Halloween stamps and dies this year. Seems like we just finished making great projects for Valentine’s day and here we are getting ready for Halloween! What an awesome line up of new products! My must have is definitely the Notched Star banner. Wow you are always so inspiring with your cute things. I love it all! I like the new Notched Star Banner Dies. You had me at star banner. Wow lots of great new dies! Love the double banners! No idea where to start with today’s new offerings. Wow, so many fun and inspiring Halloween ideas! I definitely want it all! Halloween isn’t something I really get into quite as much now that my kids are grown up, but I love the new notched banner dies and the tiny treat box. 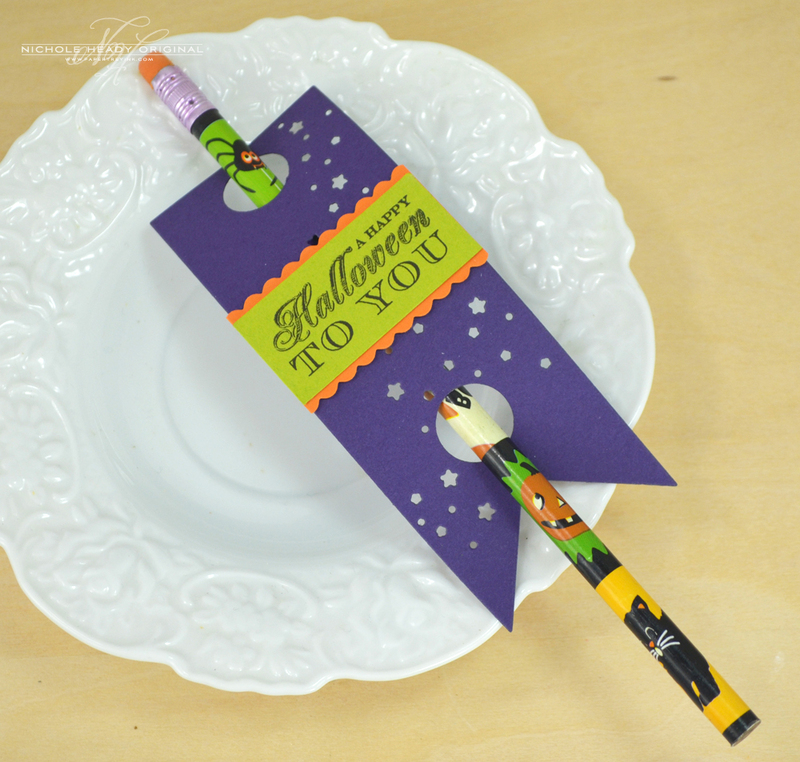 Lots and lots of uses for those beyond the gorgeous Halloween ideas you showcased. Oh my, so fun, can’t wait to get them all on the 15th! ………Love the new “Trick or Treat dies….they are on my “must have” list! 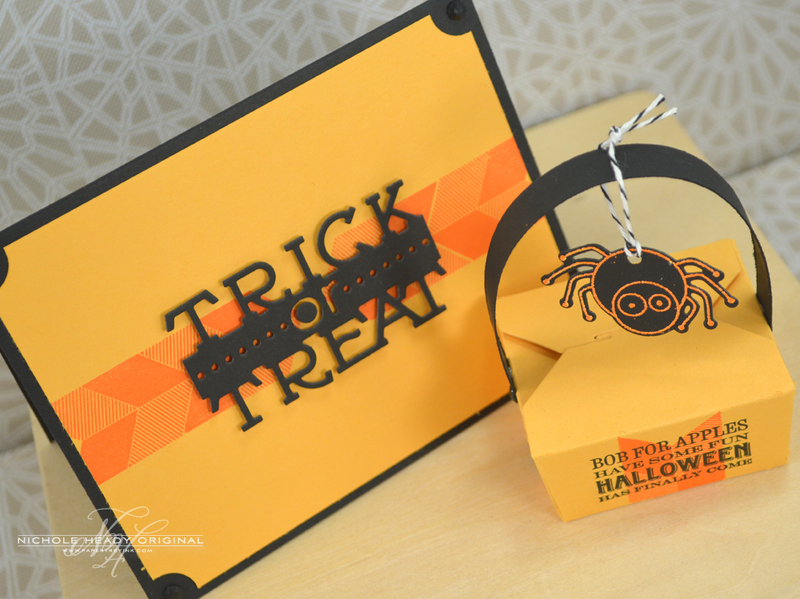 Today’s projects were so much fun…..makes me want to get started on Halloween treat bags and cards! EEEPPP!! love that tiny take out box and the banner die set… so cute! fabulous projects today! I so love the Halloween dies a definite must have!! Your cards and products are just wonderful Nicole! Thanks for sharing your great ideas. I was so happy to see all the Halloween projects today! Tricky Trio and the Notched Star Banner dies are my favorites! These projects are “spooktacular” *tee hee*! I love all the dies, especially love the Notched Star Banner. Looking forward to seeing all the stamps! Gorgeous projects!..love the treat box die! So many things I LOVE about the new releases… Beautiful projects, great ideas and so many different ways to use the same materials! I love Halloween and I really love all of the new dies! Great Projects to show off the talented ladies! Oh my Gosh…these are so darn cute! 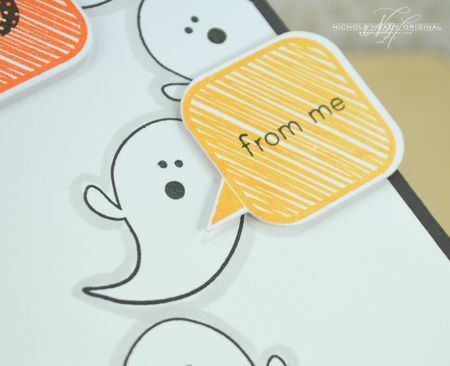 I can see using these with all my other Halloween stamps…love the dies!!! You are the best! Looks like another very fun release Can’t wait! 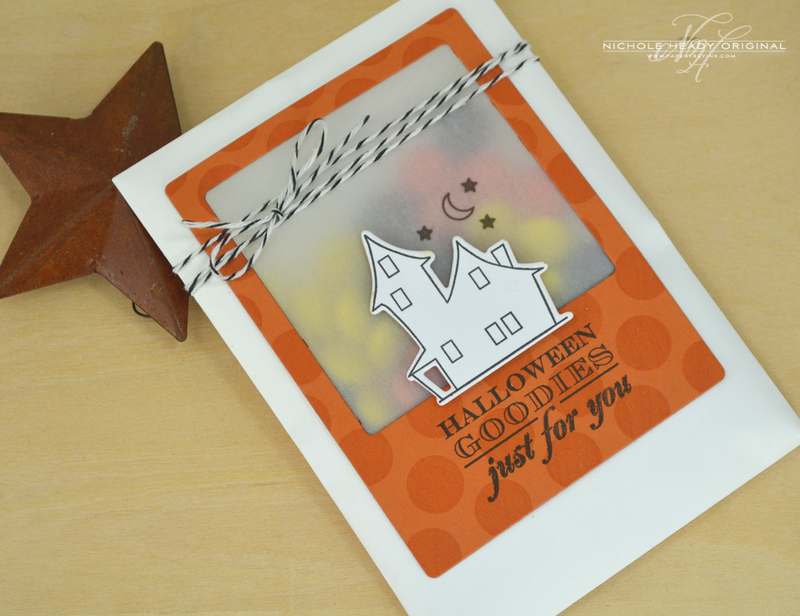 Great projects for halloween and some awesome new dies and stamps. Melissa’s happy little ghost is super cute! And I love the new notched star banner die – I see the top layer in enchanted evening layered over silver glitter paper for a starry sky. Thanks for the inspiration! Just love the Halloween releases! I can’t wait to get them home to make cards. 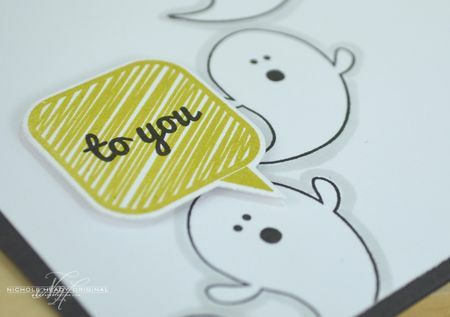 Love the new Bubble talk stamps from Maile and this cute little ghost. All those dies will make it so easy to create halloween projects. I don’t celebrate Halloween but I like the take out box and the banners. Oh my, I used to always make Halloween cards and treats but then stopped. Now, I can see I need to jump on the bandwagon again because these are such fun ideas using new stamps and dies. Sweet treats! I love all of the fun Halloween ideas and products. The ghost is too cute! I just love the box die,it’s prefect for many occasions! I’m so glad for the people who wanted dies for TT:Halloween. And Purple Girl can make a box for her candy corn! The triangle card is fantastic. Halloween is one of my favorite holidays. Love this release. Cute, fun projects! The treat box is super cute! And I love how you cut it with clear cardstock and added the washi tape! What fun Hallowe’en ideas and inspiration today!! These are great designs, as always. That new favor box is a perfect! So much cuteness – I am on overload – Do you guys realize how awesome everything you have shown us is here?!?! I am so in love with everything! I just love Halloween and now some great products for this year’s cards. Wow… just first day and already have started a list. Amazing Halloween products & inspiration. I want it all! LOVE all the Halloween “treats” – so tired of summer here in Florida, can’t wait to get started on Halloween! LOVE the die-cut words the most, I think!! Love that little treat box! So many uses for it! I like all the Halloween stuff but need those banner dies especially. Halloween is one of my most favorite holidays!!! Love all of the new Halloween stamps and dies. The Notched Star Banner Die will be on my wish list too. Awesome cards! Love all the halloween products. Hats to see summer come to an end. Oh I am in trouble! I love Halloween but my budget this month and next is being stretched so we can go to California for my SIL’s wedding! What is a crafter to do when such great new product is available? Love your new Halloween release. Even if I am not a kid, I would love to get one of these not only as a treat, but also to treasure. I am sure this will be a hit in any Halloween party and/or treat giving. I love all of the Halloween things. So glad to see the Tremendous Treats dies! Love the treat box die and the trick or treat die. Such wonderful card and ideas today. Love that tiny take out box! Wow! Great way to start!! Oh my goodness – I adore fall so I am very excited for this month’s release!! LOVE the notched banner, I hope there’s more in the future planned with hearts, and circles, and other shapes cut out of them too. The take-out box is fabulous, I like that it’s a square so you can fit things in it better unlike the traditional slanted-wall shape. I didn’t think I was ready to think about Halloween until I looked at all the wonderful ideas! So cute and fun. And all the ladies did amazing projects to get our imagination juices flowing! Love the die with the stars…. what a fun one. Wonderful cards as always, Nichole! I just adore that cute little favor box and the star banner! The scattering of those stars is such a wonderful touch. Can’t wait to see more of the coffee cozy dies! Now I’m really in the mood for Fall! Love these products and it’s only Day1! Love the nontraditional Halloween color projects & the treat envelope – great ideas! Fun projects! I love the new treat container die…that will get a ton of use in my house! What cute projects today. 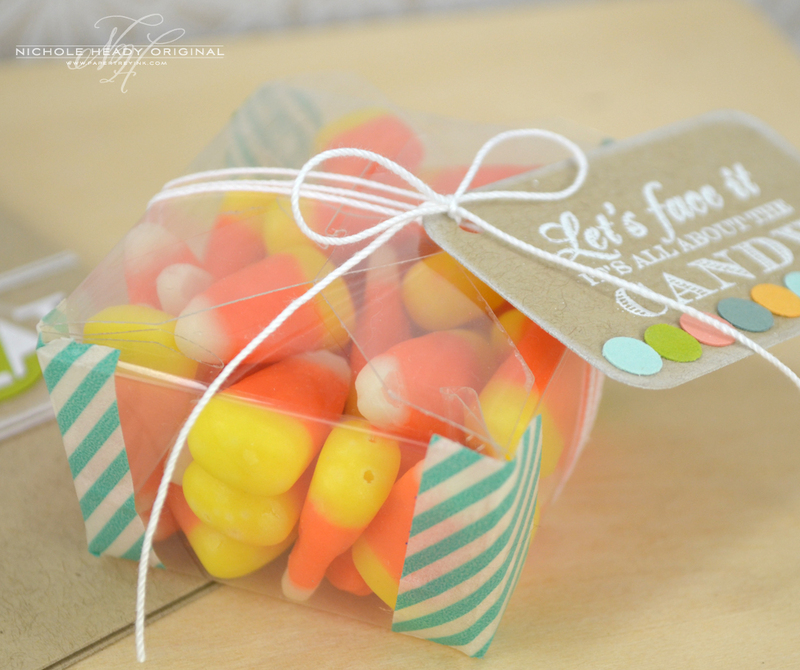 Love the tiny treat box with the candy corn. Genius using the clear cardstock. That Halloween card with the non-traditional colors is great! I’m a fan of the notched banner die too – looks like it’d be great for other holidays too. What great projects today! Although I don’t make Halloween cards, I do like the new dies. They are so fun. I am loving ALL of these dies! I am already so, so excited for this months’ release. So many ideas and fantastic inspiration. I love the star banner! I’m in love with everything! I adore anything to do with halloween. I don’t know what I am most excited about. You’re samples are awesome and make me want it all. Fabulous products – everything works so well together! Looks like all treats no tricks in this batch of goodies! We don’t do Halloween over here, but what great dies , sentiments and samples! The tiny take out box is my feve. I just love the star banner!!!! And the non-traditional colors are right up my alley! I’m not big on Halloween but seeing these with the different colors have me re-thinking it! Love the new take out box (how clever!) and star banner can see so many uses for those. All the Halloween fun certainly made me smile. Love all the color combinations. And that ghost – too cute! I especially like the looks of that treat box cut out of the clear paper! I like the alternate color palletes used on the Halloween cards. Fun! So hard to believe so many great halloween projects! It will be hard to pick my favorite – but I’m kinda crazy about the little take out boxes! What fun Halloween products! Wonderful projects from everyone. Awesome projects! I’m not a fan of Halloween so I’m always looking at the Hallween release for other ways to use the products! The notched star banner dies would make AMAZING Christmas gift tags!!!!!! And the take out box would be great to make customized wedding favors or for birthdays too! Awesome job on making products that are so versatile! Love all the Halloween stuff! Can’t wait to play with these! I absolutely love Halloween and any Halloween stamps so i am so very excited for this release and love everything so far. Awesome projects featuring these new products! what a great looking release this month! can’t wait to try these products out! Halloween is my favorite!! Thank you for designing such a fun coordinating stamp and die set. Today’s projects are fantastic! The projects with the traditional colors are great but the lighter colors on the ghost cards are new and interesting. Wonderful projects! My favorite item is the notched star banner die – so cool! 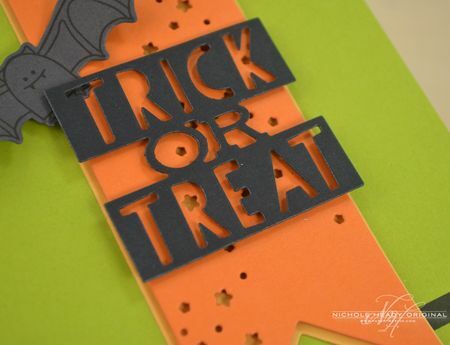 Halloween is my favorite time of the year … Can’t wait to get my hands on the die cuts …. Love love love!!! love the little ghost, the new treat box and the banner…very fun! These are truly amazing! I always love the Halooween color combination! And the images combined a bit cute and a bit scary, perfect! That new box die will surely be one of my faves! Looks totally great!! WOW! Totally inspiring as always! I’m loving all the new products, especially the star banner – what an innovative die set! I love the treat box. Just the right size and it has a self lid. Great design! Ooh, must have that little take out box! Loving all the DT creations! Halloween is my favorite time of year. Saw lots of ideas for harvest parties at school too. I love all of the Halloween items you showcased today. I don’t normally do much for Halloween but I might have to start! OMG what a fabulous release! I love that tiny treat box – its a must have!!!! I love the Ghost Talk Card. Simple but adorable! That ghost is just adorable & love the dies~great look! All the items showcased today are darling. I always look forward to the releases every month & you never disappoint! Love this new collection!!! All other stamp sets and dies look wonderful!!! All of those cards are amazing. The banner plates are wonderful. Treat box can be used for so much. These Halloween releases are so great! Thanks for sharing the inspiration pictures. Love the Notched Star Banner Dies. Very cute. On the one with the circles – I thought they were vellum and glued down really well then read the description and realized they were just well inked. Wow! So many new dies. I love the new little box and the notched banners, can’t wait to play with it. So many great inspirations! Your projects are so cute!! I can not wait to see what you do with Dawn’s new Mum flower set. Love the new dies & stamps! So cute & so many possibilities! Love all the projects you featured! This is the PTI release that I wait for all year long! 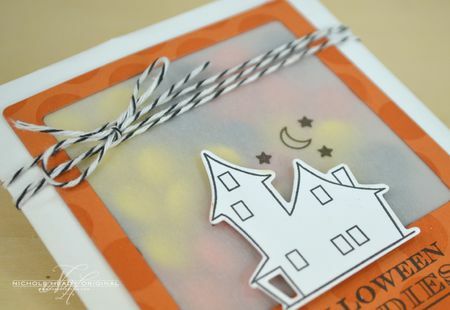 I am loving the trick or treat dies, Dawn’s sentiment set, and that notched banner with the stars! Such a great start to release week! I can’t wait to see what is next! Oh I’m so excited. I love all the stamps and dies. I want them all. So fabulous. Can’t wait to see the full reveal. Thanks for the sneak peaks. It’s all so cute! Stunning Halloween cards again this year! Goblins and ghosties and long-legged-beasties – so very cute!! Very excited about the Tremendous Treats: H’ween dies. I love that new starry notched die, too. I don’t normally make Halloween cards but these are so cute. Love the ghost!! Love everything so far and you all have really hit it out of the park with your fabulous creations! Love all the Halloween goodies! The dies are awesome! I love the pencil holder using the notched star banner – that banner is lovely! You can NEVER have too many Halloween stamps!!! Can’t wait for the 15. Fabulous!! Fantastic release! Wonderful samples! I really like the Notched Star Banner dies. Thank you for all the inspiration. I am loving all the Halloween goodies. Can’t wait to get my hands on some of those dies! What a great fun array of Halloween products. Love that cute takeaway box. These are some wonderful projects and great inspiration. Thanks for sharing them with us. The tremendous treats dies are a favorite. Great projects. What wonderful ideas for Halloween. I love all the new releases, but I really love that little ghost. Can’t wait for these to go on sale. Super excited to see Halloween stuff! The words look like a wonderful addition for all. What a fabulous bunch of new products–especially the dies. What an awesome Halloween collection! Love it!!! Thank you for inspiration! Can’t wait to get the notched star banner. The notched star dies are amazing – they would be perfect for so many uses – 4th of July, Christmas, birthdays….awesome! I just have to say–everyone’s projects were wonderful! I have found myself going back to look at them multiple times, just to study everything. Love the new products today! I have a serious weakness for all things Halloween. I can’t wait to see the entire release! I love all the fun Halloween stuff – especially that little ghostie! So much fun! Makes me wish I had a need for Halloween treats!! Love the notched star banners and the cute little ghost! Such fun tools. Love the samples. OH MY! 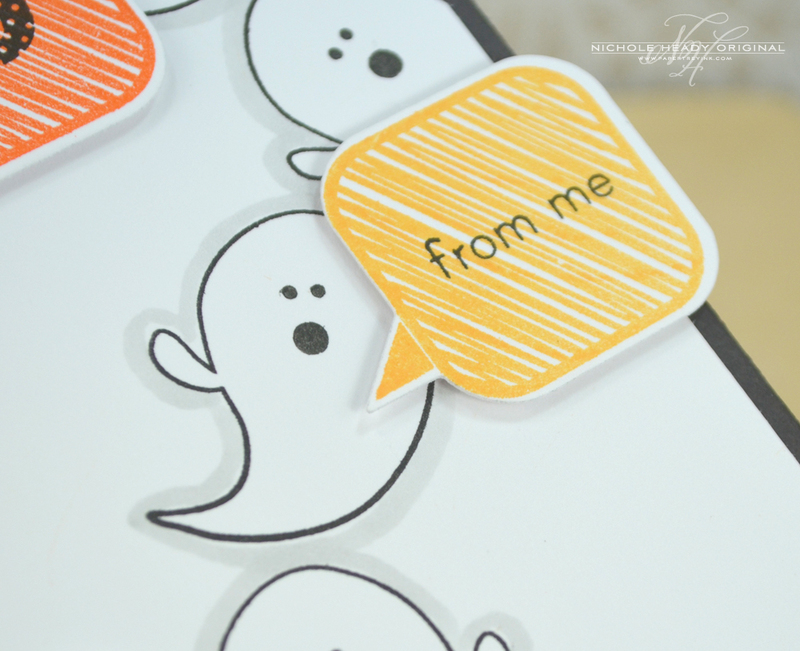 Love, Love, Love all the Halloween goodies – That little ghost stamped on vellum is the cutest! Fantastic start to this release! I’m so excited to start thinking of Fall and Halloween projects. You’re peeks today are fantastic and really are an Ultimate Halloween Inspiration! Can’t wait to see more. As always a great new release parade! Wow, all the dies are amazing! This is going to be one of those “I want it all” releases. I am LOVING all the cute, new dies!! I can’t wait for Halloween!! Love the ghost and the tiny take out box. Great projects. Love all the projects, as always. I’m really liking the Notched Star Banner and Tiny Take Out dies. I’m already envisioning several projects to use them. Looking forward to the rest of the release. Really cute projects. Loving the treat box! Great new products! I especially love the banners! It’s because of the stars… You put stars on something and I want it! I’m loving the new dies this month! Such fun projects! Oh my gosh!! That ghost is about the cutest darn thing I’ve ever seen! I have to have it along with the rest of the Halloween stuff. Halloween is my absolute favorite holiday! Amazing Halloween projects from you and the DT! Looking forward to playing with Notched Star Banner and love the Rustic burlap Impression Plate. I am not much for Halloween, but there is so much more this month that I am not going to get off easy. Another great release! This would b great for school goodies. Oh my gosh I love everything. The projects are very amazing. Now you’ve got me looking forward to fall, even more than usual. It’s my favorite season. Love all of these new releases! So excited to see the new leaf and tree combo to come- Papertrey products are so well planned-out. Love, love, love! And I was thinking this release wasn’t going to have a lot of Halloween items! So cute!! Ooh, that notched star banner die is so fun! The Tricky Trio dies and the cute star banner are adorable and must have’s. I really liked the cute treat container, it is just the right size for small goodies to send to school. Ohhhh…..these are to cute! Loving the new Tremendous Treats: Halloween dies! Thanks for sharing and the chance to win! LOVE all the new Halloween items-so unique! Your cards and project are wonderful. I’m not typically drawn to Halloween stamps, but these trick-or-treat dies are AWESOME! Definitely going on my wishlist! AAAACK! I’m SO PSYCHED for Halloween now! 🙂 Loving all of the new dies and stamps so far — can’t wait to see more! That stars banner die, and the take out box — LOVE. Completely and totally AWESOME. I always love to see the projects made with the new stamp sets. Especially for the holidays coming! Everyone has done a fabulous job. Love the little treat box! I really like the tiny take out box. Putting that on my list already. Nice projects showing off the new products. You gals are oh so creative! Love the little ghost. Looks like another fun month! Love the notched star banner. Oh my! Just lovin’ what I am seeing on the first day! U adore the banner dies! The dies for tremendous treats are fabulous and that little ghost is so adorable!! The new halloween set is a must!! 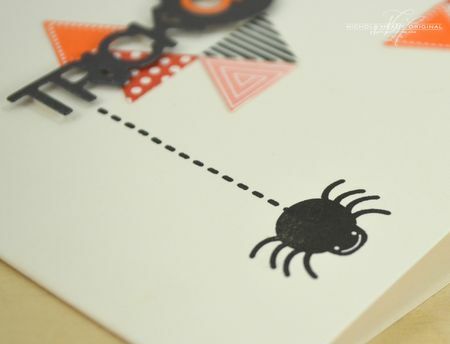 My favorite project is the triangle card with that cute cute spider!! So much for my resolution to cut back-I love the Halloween stamps and dies, and the mini takeout box! I love the trick or treat dies. All the cards are just great, can’t wait to get some new stamps! Love that take out box!! Everything is fabulous! This is not going to be a good month for my wallet. All of the projects are amazing! Everything is so fun, what a wonderful month this is going to be!! Halloween is my favorite time of year for crafting. 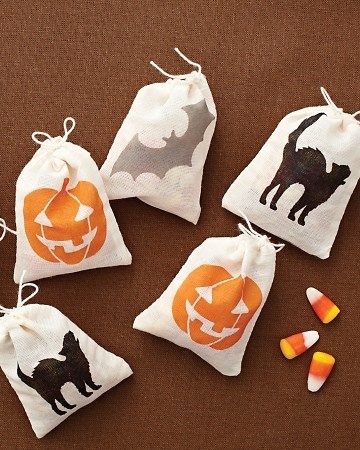 It is so fun to make treat bags to hand out and I can’t wait for crisp air, crunchy leaves, and pumpkin carving. Wow – you have really made me excited for Halloween this year and I don’t usually get that excited about it. It will be hard to decide what I want so a $75 gift certificate would be a big help! Love the Halloween ideas!! Soo cute!! Today’s creation and products are fabulous–good thing. Bad thing is that I want them all and my wallet can’t let me. Sigh, my wish list just gets longer and longer. Cute Halloween goodies! Love the darling treat box! Coffee cozy stamps and dies – YEAH! Thank you! Can’t wait for release day. Such great product and ideas this month. Love the new dies, especially the notched stars banner. Oh gosh, what adorable Halloween ideas you have! Amazing cards!! Love them all! Oh I am in so much trouble!! Love it all! You are right! I’ve been waiting and wanting a Halloween sentiment. Another fantastic set. What cute Halloween cards! Can’t wait to start designing for such a fun day! PTI makes it sooo easy. The clear treat box idea with tape at the corners is clever. The little ghost (especially with the polka dots) is real cute. OMG I am SO excited about this months release! I LOVE Halloween and today’s post was chock full of inspiration. Can’t wait to try out those non-traditional Halloween color schemes and the adorable Tricky Trio die set! What an awesome release! I’m so excited fall is coming! So much fun stuff! And super cute! Wow, what a jam-packed lineup of new products! Can’t wait for the full reveal! What an adorable little ghost! And I love the star notched dies. Love all of this Halloween inspiration! That little ghost is super cute & that starry banner has my name written all over it. Everything looks great. Love Halloween stamps and dies. Wow, these are some fabulous ideas for Halloween! I love the tiny takeout box die! I don’t know you do it but each release is just as good as the last! I love all the Halloween stamps and dies this month. Thank you for the dies for the Tremendous Treats: Halloween! Love Dawn’s Mum set also! Lots of great Halloween inspiration today. Looking forward to all the dies. Loved all the projects from Nichole & all the design team! The take out box is just the most adorable thing! Such fun projects! I think I am most excited about the Notched Star Banner dies, a total surprise. Oooh! I’m lovin’ the new Halloween items and the banner dies!! Besides Christmas Halloween is my favorite holiday to craft for so today was right up my alley. Love, love, love!! Wow, great pumpkin !! Love the Halloween stamps and dies. Great projects. Can’t wait to see more. Can’t wait to play with the treat box and the precious little ghost! I just love this months peaks. Especially those tricky trio dies! They are so festive and unique. The clear take out box is too cute! Can’t wait to make some Halloween treats for my 2yr old grandson. So glad to see the dies for the Tremendous Treats. Love all of the new products. Love that cute little ghost! So many fun items! I’m really lovin’ those ghosts; they are very cute. Adorable! Makes me want to create Halloween cards which I’ve never done. Love, love, love all the Halloween stuff. Love the dies too…the notched banners with the stars…so pretty. Looks like another interesting month! The small take out favor box is adorable. I really love the endless possibilities and inspiration from the many designers. Thank you!!! Such cutesy cards, and lots of great ideas from the DT. Thanks for the inspiration. I love all the Halloween stuff. It is my favorite holiday! Super cute projects! Thank you for the chance to win! So many great ideas for Halloween. Love all the new stamps and dies! That little ghost is too cute!! And the take out box? I think I am in love!! Looks like another great release! Loved seeing all of the inspiration for Halloween. I love the treat box die and the star banners. Those would be cute with Out of this World. I don’t have any reason to make Halloween cards but they are sure cute to look at. Awesome! I love all of the new products! I love all these new Halloween sets and am anxious for the 15th to get here so I can order some of them. Thanks for the great projects shared here too. Love the new releases! Great Halloween stamps! What an incredible line-up this month! I LOVE everything! I hope I win as it would help me get so many more of your lovely new products! Thanks for the chance! these are so cute and fun!! I love the little dotted ghost, and the treat box will come in handy!! Great job!! Love the new products. Keep them coming! Really love the notched banner die. And that ghost is too cute. So much Halloween goodness! Loving those banners! I love your examples, especially the extremely cute envelope with the haunted house! The pastel circles card is very cute too! 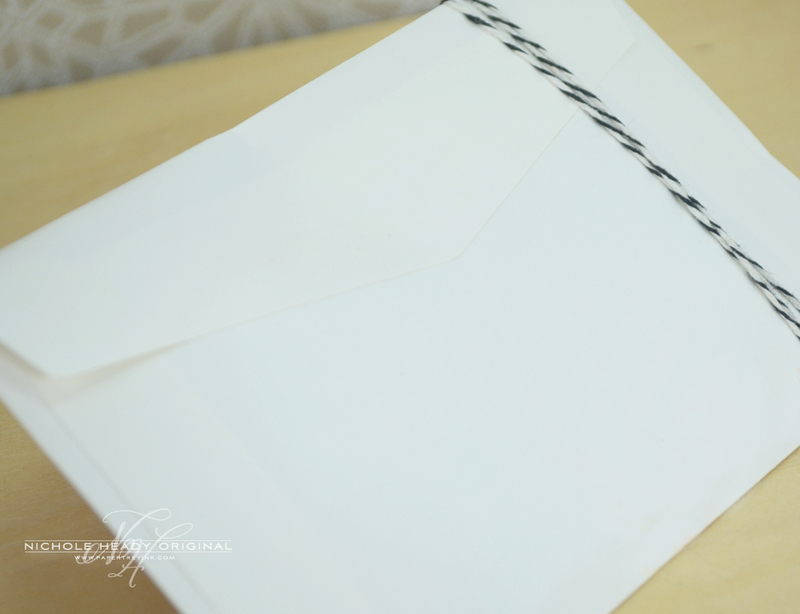 What a good idea adding a vellum window to the front of an envelope…love it!I am always partial to little boxes and this new little die will be no exception I am sure. Great projects. I love that little ghost. Oh for unlimited resources to buy it all! Thanks. So much Halloween GOODNESS! A real “treat”! Love all the new halloween stamps and dies. So many great projects this month! I love the notched banner dies and can see myself using these for Christmas projects as well as many others. I also like the take out box and the tiny ghost. LOVE the new Halloween dies ! 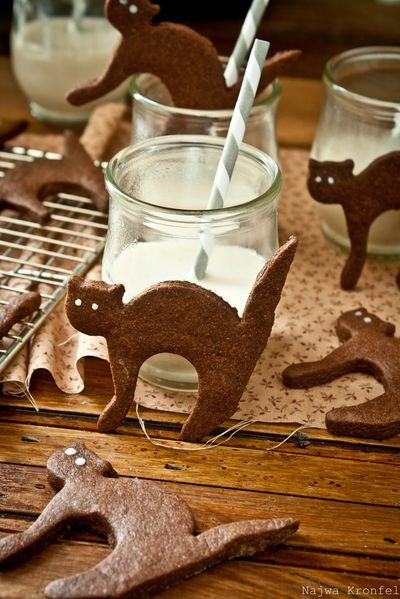 Oh my goodness, these Halloween projects are too cute! I love the tiny take out box and the non-traditional colored card with the circles is great. oh my….love all of the new Hallowe’en goodies! I love Halloween! The new products are terrific so many cute ideas. I just love those Tricky Trio dies!! So detailed and fun! Can’t decide what I like the most — so much to choose from. Val from IL. ooooo! what a amazing halloween samples. awesome stuff here, Nichole. 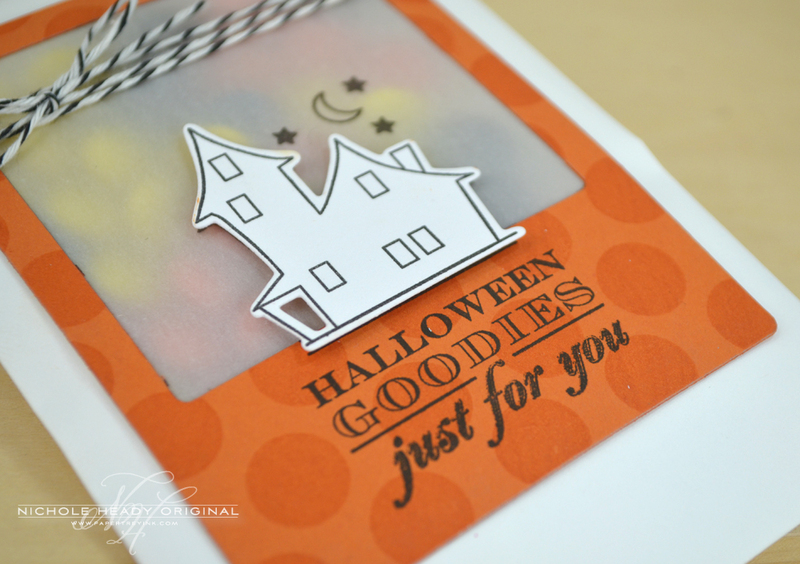 Such fun stamps and dies for Halloween! And what great projects you made with them! I’m in love with this set! The sentiments are fabulous! Love the spooky house! Love the notched star banner dies – so very versatile! 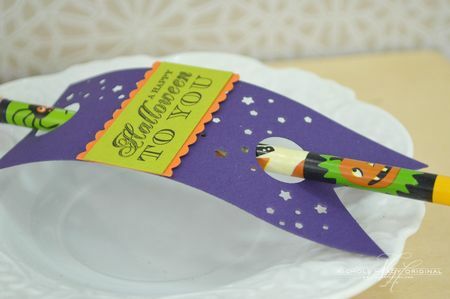 Cute projects but my favorite is the green trick or treat card. Thanks for designing such fun items! Gorgeous projects, Nichole! Such fun Halloween products! I love the cards and projects! Amazing items: love the tiny box and the star banner dies. 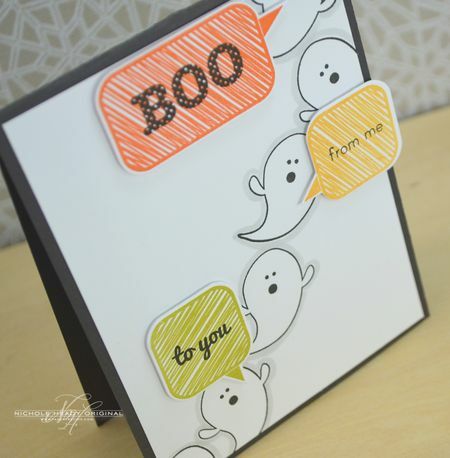 I especially liked the non-traditional colored Halloween cards today – the clear box was my favorite! Such fun products! Love all the die cuts! That ghost is soooo cute 🙂 Love it! I got Heather’s ‘Foxy’ set awhile ago, after much debating, just now knowing if I’d use it much, but I’ve ended up using it a ton, so I’m looking forward to collecting all her little critter sets! I also think the Fall background set will be filled with possibilities! Great examples, as alwayss! Ohhh — these are all so lovely — my fingers are itching to get going on making fall theme cards! What a fantastic release – Halloween is my favorite holiday! Fun-tastic projects from the DT! I see year round possibilities for the dual banner die! My oh my…this is all just too darn cute. Oh my goodness! I want/love everything in this post. Paper, ink, stamps, dies! I NEED TO GO BUY A LOTTO TICKET! Love, love LOVE everything you do! Really really love Bubble Talk and the Squirrel set. They are so cute! The banner with the stars is awesome and I love those ghosts…I love Halloween. Can you say “halloween happiness”. What a fabulous way to kickstart the season. The Dies! THE DIES!!!! LOVE!!! Love those Tremendous Treats Halloween die cuts and the Trick or Treat die cut too! Given all the cuteness here I may just be inspired to make some Halloween cards!! Oh how I love all the dies! So many projects swirling around in my head! Thanks for the great inspiration! I love the banner dies from today, especially with the stars in it! The trick or treat dies are an awesome idea 🙂 I love the cute little ghost and it will be so nice to have the dies to match the tremendous treats collection! It will be much easier to use those stamps this year now that there is a coordinating die set. Muy Fabulouso! I love that ghost card with the pastel and transparency sheet!